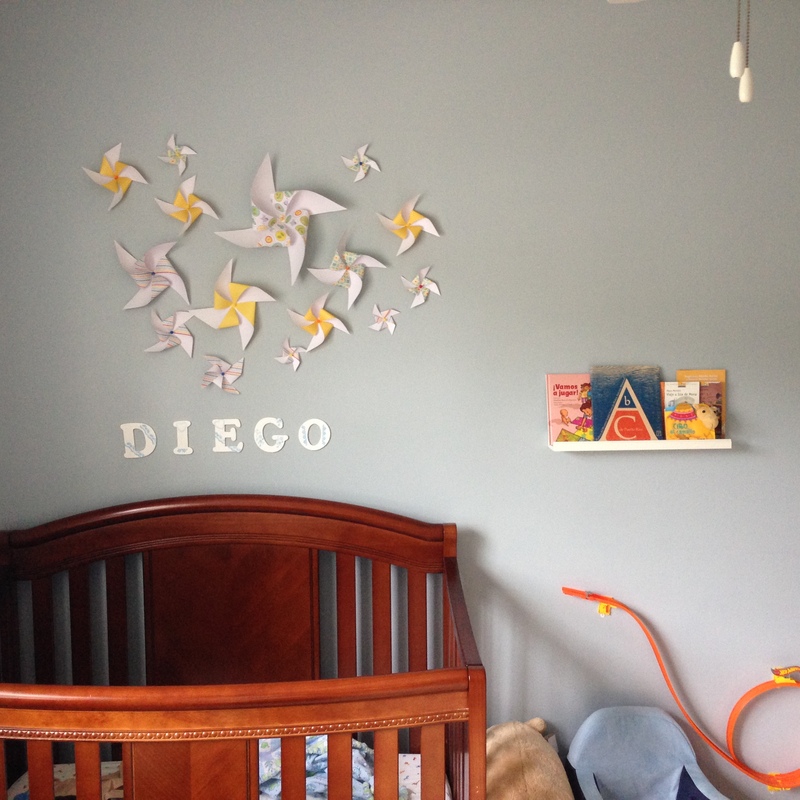 I’ve been slowly decorating Diego’s room after finally turning it into a toddler room. I had been looking for something to go on the wall above his crib but I hadn’t come across anything that I loved. The letters spelling his name that I painted felt underwhelming and to be honest I’m not in love with them but it was better than nothing. 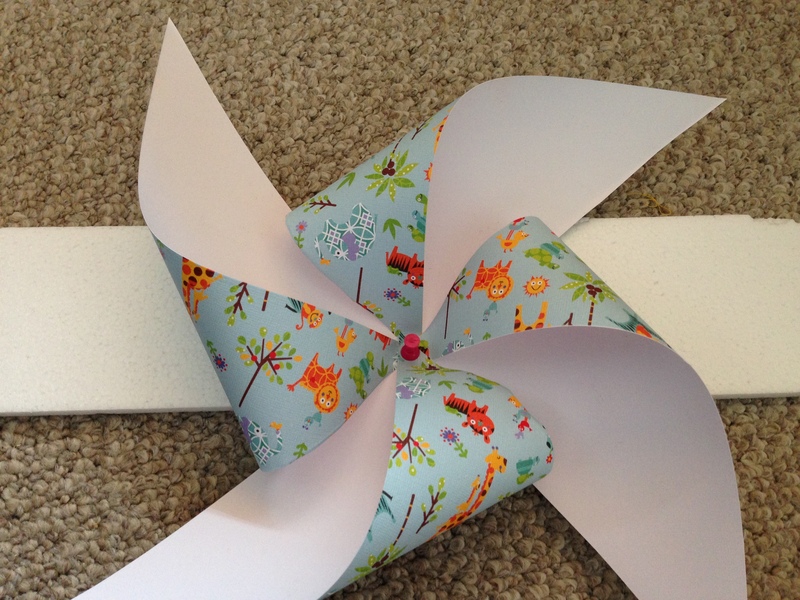 The other day I came across this post on how to make a DIY pinwheel art installation. I glossed over the pictures and decided that this would be fun to make and since I already had everything I needed to make it I would incur no further cost. I am so pleased with how it turned out I decided to share it here. Last week my local craft store was having a sale on their craft paper so I picked up a pad of 50 sheets for $10. 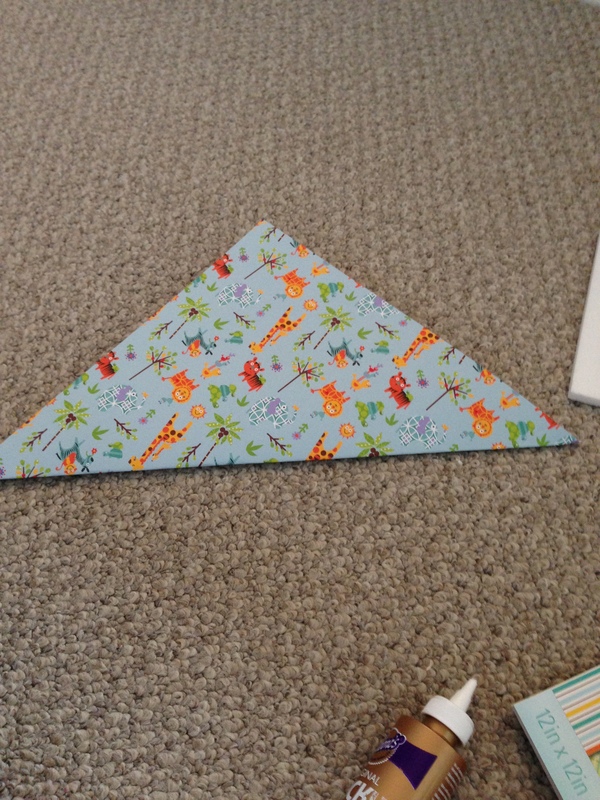 I used it for another project and after making the pinwheels I have plenty left so this has turned out to be a great buy. 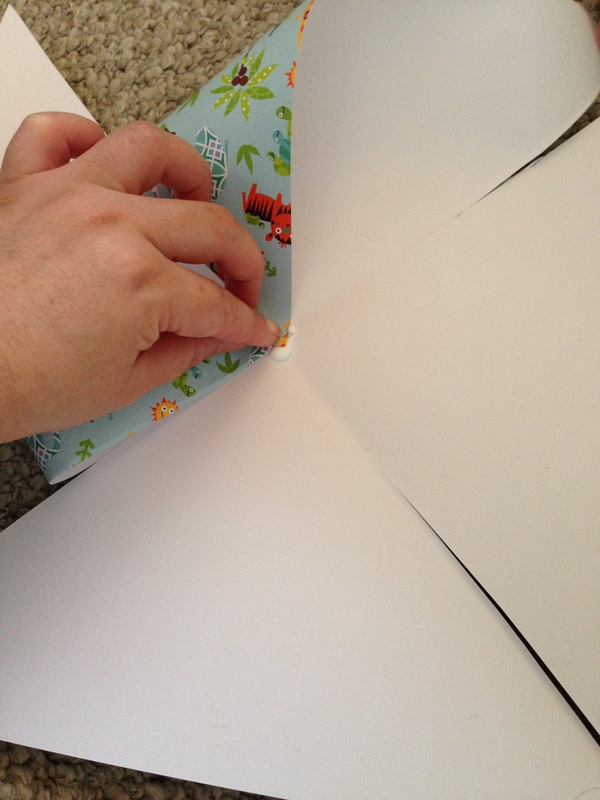 In addition to craft paper (or really, any sturdy paper) you will need: scissors, glue, pushpins/thumbtacks. 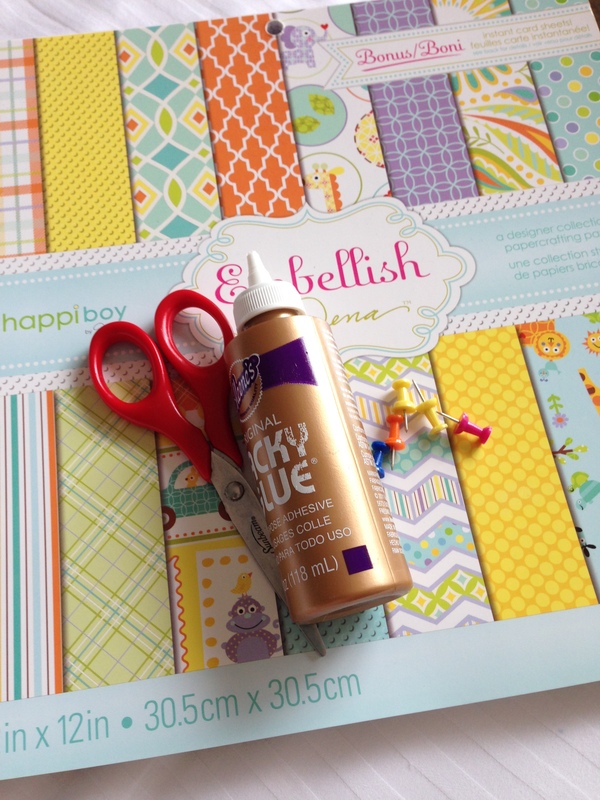 The pack of craft paper that I purchased came with various prints and patterns and they all coordinate so it was just a matter of choosing which ones I wanted to use. 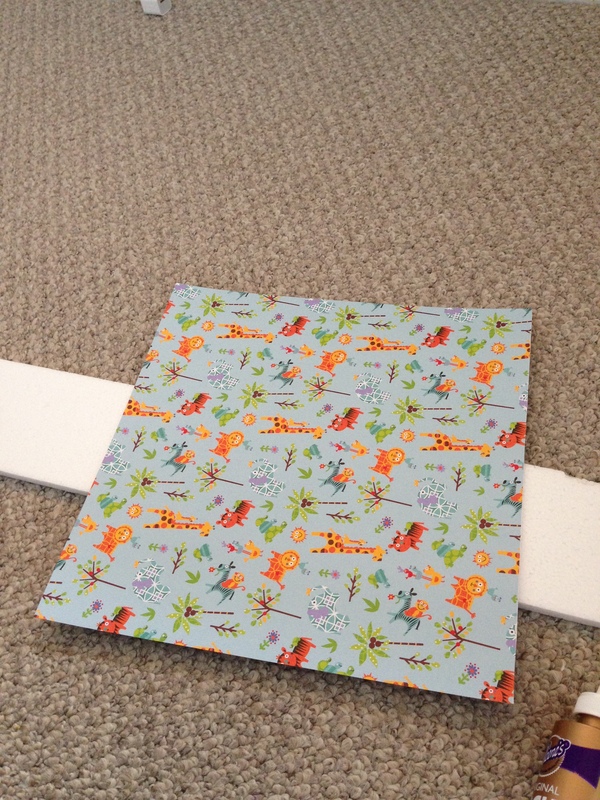 Step two is to cut squares in various sizes. I did not measure anything and I was not fussy about anything being perfect. Close enough is good enough here. The paper I used was not double sided but I like the white so I was okay with that. 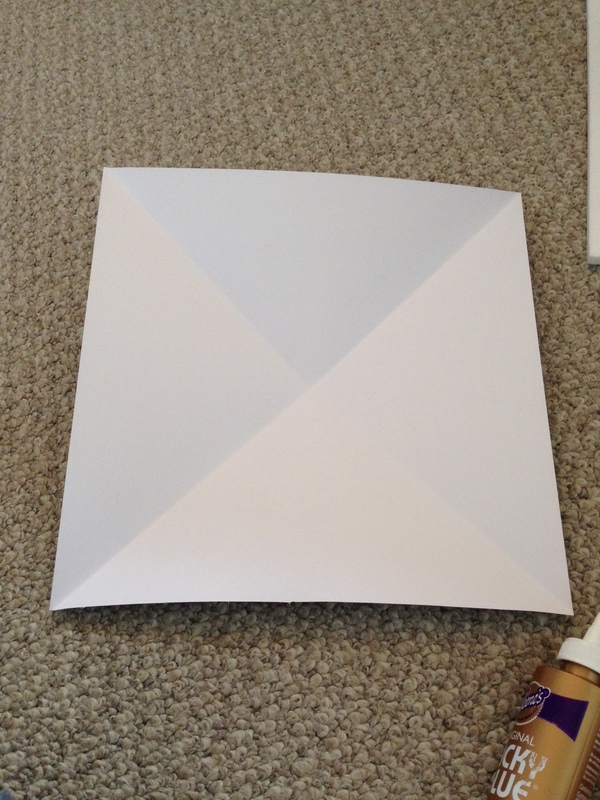 You could always use double sided paper or paint the white side if you would like. 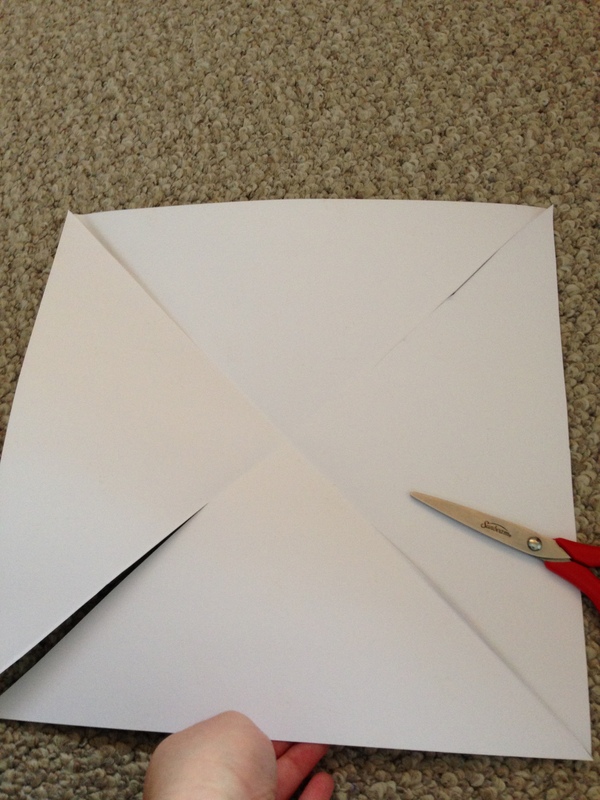 Fold your square diagonally and then cut down each diagonal crease without cutting all the way to the center of the square. 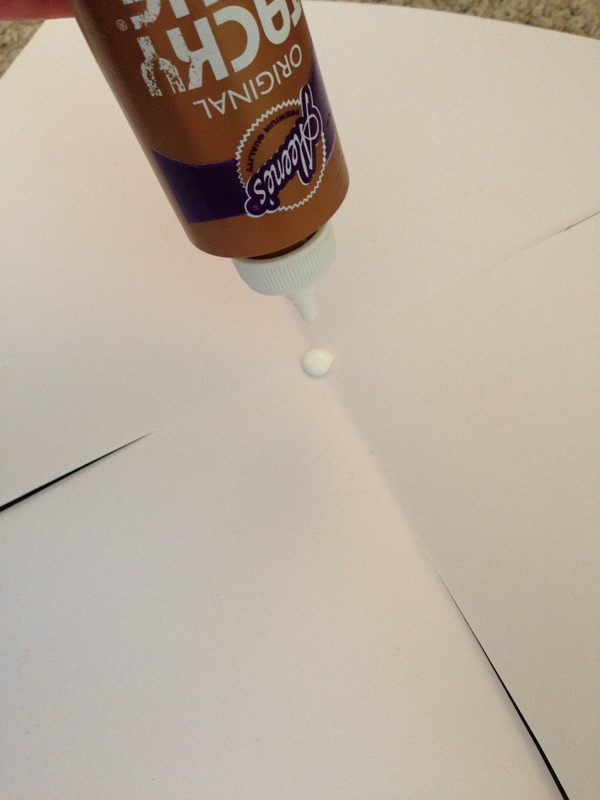 Add glue to the center of the square and fold in every other corner. 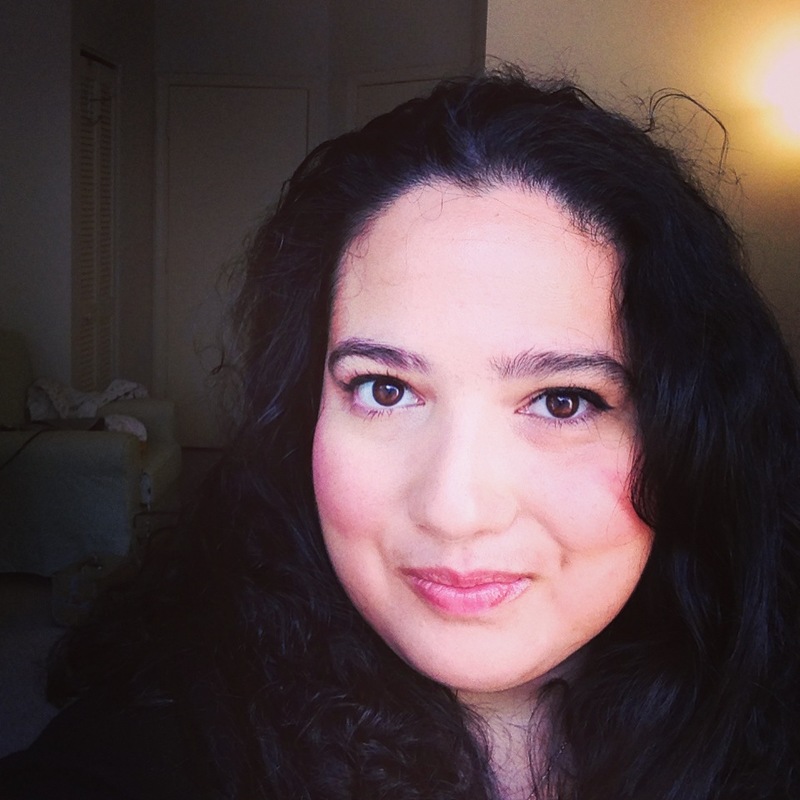 Once you have a variety of different sizes you can start playing around with placement. The pins slide easily into drywall. I will probably make a few more pinwheels and add to the installation but I’m pretty happy with how it looks now.